In 2011, Bristol-based Alpha Natural Resources became the second-largest coal company in the U.S. It had annual revenue of $7 billion, operated 145 mines and employed 14,500 people. Since then, the company has idled or closed more than 80 mines, laying off about 7,000 workers. Its stock, which hit a peak of $45 a share in June 2011, has been delisted by the New York Stock Exchange after trading for months at under $1. In the past three years, the company has posted losses of $2.4 billion, $1.1 billion and $875 million. 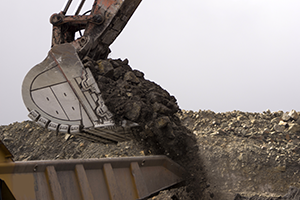 In early August, Alpha became the fourth major U.S. coal company in recent months to file for Chapter 11 bankruptcy protection, listing assets of $10.1 billion and liabilities of $7.1 billion. To help it through reorganization, the company has debtor in possession financing of $681 million. Alpha says coal’s decline began soon after the company completed a $6.7 billion acquisition of Richmond-based Massey Energy, a deal that had special significance in the industry. In April 2010, 29 Massey workers died in an explosion at a West Virginia mine, the worst coal mining disaster in 40 years. In sharp contrast to the many safety violations found at the Massey mine, Alpha has a reputation for putting safety first and giving miners a say in improving working conditions. “Running Right” is the company motto. Alpha paid $209 million in a settlement with the Justice Department over the tragedy. In a declaration submitted with the bankruptcy petition, Crutchfield outlined the coal industry’s downward spiral since the Massey deal. By coincidence, Alpha filed for Chapter 11 on the same day that the Environmental Protection Agency released its Clean Power Plan, setting standards to reduce carbon dioxide emissions by 32 percent from 2005 levels by 2030. Crutchfield cites increasingly stringent federal regulations as a big factor in the industry’s predicament, but there are many others. The list includes: rapidly falling coal prices caused in part by an abundance of natural gas extracted from shale; weak demand for coal because of slower than expected economic growth in the U.S. and overseas, especially China; the increasing use of renewable energy sources, often with the encouragement of government subsidies; and the “imposition of restrictive federal regulations” on coal producers and the operators of coal-fired power plants. Crutchfield’s filing says that the price of metallurgical (or met) coal has fallen 72 percent since 2011 while thermal coal, used in electric power plants, has fallen 44 percent. The production of coal in the Central Appalachian region is down 37 percent from 2011 and 50 percent from 2008. EPA regulations, especially new mercury and air toxin standards, the filing says, have contributed to the retirement of 400 coal-fired power plants in recent years, representing 62,000 megawatts of generating capacity. Another 468 coal-fired plants are expected to be retired in coming years. Stronger regulations and inexpensive natural gas (down 75 percent in price since 2008) are contributing to a fundamental shift in the way power is generated in the U.S., the filing points out. In 2010, 47 percent of the domestic electricity generated in the U.S. came from coal. That portion fell to an annual share of 39 percent last year and is expected to decrease to 37.2 percent this year and to 36.6 percent in 2016. On a monthly basis, natural gas actually overtook coal as the leading source for power generation for the first time last April, with 31 percent for natural gas, a 21 percent increase from April 2014, compared with 30 percent for coal, a 19 percent decrease from 12 months before. “The unprecedented changes facing the coal industry run deep and are occurring at a frenetic and unpredictable pace,” the filing says, but the company sees a light at the end of the tunnel. The business conditions needed “for profitable coal mining and production will ultimately materialize,” it predicts. Seventy percent of the global steel industry depends on met coal, the filing notes, and thermal coal is expected to supply a sizeable share of electric generation for some time to come, despite the shift to natural gas and renewable energy sources. “Following the adaptation to necessary structural changes within the industry, there will be survivors once pricing turns favorable,” and Alpha is confident it will be one of them.